Rich joined Meeting Street Schools in 2016 as the Director of Development. 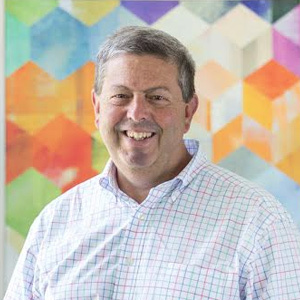 Rich is passionate about our vision to help under-resourced children succeed in today’s world and brings his extensive experience in educational fund-raising to our organization. Rich’s first career as an investment management professional culminated in London, where he was Senior Vice President at American Express Asset Management International, serving as Chief Global Strategist. Prior to that, he managed global equity accounts for clients throughout the world, investing in markets throughout Asia, Europe, the Americas and Australia. He holds a Bachelor of Arts in Economics from Wake Forest University, a Master of Business Administration from Georgia State University and is a Chartered Financial Analyst (CFA). Currently, he is Managing Partner of Peninsula Capital Partners, LLC, a member of the Board of Trustees at Middleton Place Foundation (Chairman of Audit and Nominations Committees), a member of the Investment Oversight Committee for the Low Country Open Land Trust and is a Trustee of the Wake Forest Deacon Club. Previous educational development endeavors include: Chair of Wake Forest Annual Giving, Chair of Wake Forest Major Gifts Committee, Chair of Charleston Day School Capital Campaign and member of Development Committee. He has also served as a Board member of Charleston Day School and First (Scots) Kindergarten. When he is not at work, Rich enjoys watersports, spending time with his family and walking his dog, Lily.